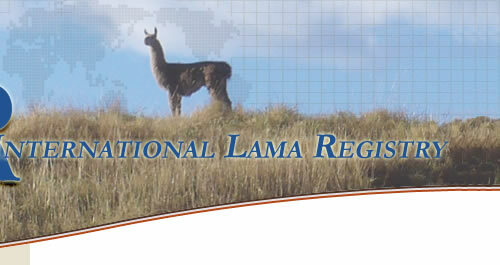 The ILR is the largest accurate compilation of lama genealogical information in the world. The Registry is a not-for-profit corporation with the purpose of maintaining an official genealogical registry system and research services for owners of sub species of the genus lama: llama (lama glama), guanaco (lama guanicoe), vicuna (lama vicugna) and cross-bred. It can be compared to a large library, a valuable storehouse of information, whose job is to gather and maintain accurate genealogical records. The focus is always on the expansion and accuracy of the records. Alpacas (lama pacos) are registered under their own registry, The Alpaca Registry, Incorporated. Why Register Your Llama? All serious livestock breeders choose registered stock for their breeding programs. Most regional and national shows, sales and other events require that participating llamas be registered. Registered animals have enhanced value, as their pedigrees are recorded and more informed breeding choices can be made because their lineage can be traced. Why Transfer Your Llama's Certificate? The ownership of animals is closely monitored to insure accurate breeding records. The Registry requires the signatures of the owner of the sire at the time of conception, and the owner of the dam both at the time of conception and at the birth of the cria. Not transferring an animal may result in confusion or difficulty in registering a cria. What Services Does The Registry Provide? The most important service the Registry provides is the prompt and accurate documentation of lineage. In addition, the Registry is a research center for members wishing extended pedigree information on multiple generations, statistical data, herd lists, progeny lists, country of origin, age and color – invaluable tools in a breeding program. 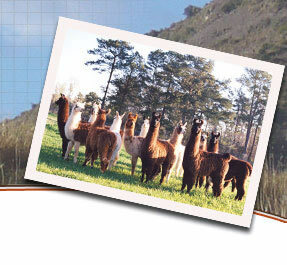 Statistical data provided by the ILR enables the entire llama community to monitor industry growth patterns. The Universal Awards Program (UAP) is a popular program whereby members earn points for all of their activities with their lamas. Certificates and trophies are awarded for varied point values. 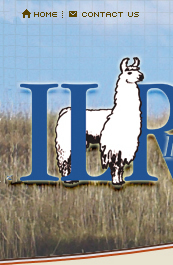 The ILR also houses and administers the Intrnational Llama Foundation (ILF), a 501 (c)3 non-profit corporation which continually works on growing the llama industry through knowledge, information and education. Who Are The Registry Members? Members of the ILR are those who pay a small membership fee each year. Each member receives Registry communications which include ballots, surveys, and online e-Bulletins which include important notices and information about the Registry, as well as other timely announcements. Members are offered many services which will enhance their ownership of llamas. If you are not a member of the ILR, you can check out the complete list of the benefits of membership on our website (www.lamaregistry.com) as well as find the online membership application form and a printable membership form. How Large Is The Registry Database? The Registry has records on over 220,000 llamas and over 38,000 owners in many countries worldwide. How Was The Registry Created? The Registry was established in 1985 legally independent from all other llama organizations. How Is The Registry Governed? The ILR is governed by its bylaws and a democratically elected five-member Board of Directors with one director being elected each year and each board member serving a five-year term. Members assist in determining the Registry policies through their elected representatives.